12 Revay Hotel opened on the 1st of september 2015 is located in the center of Budapest. The hotel is only 50 meter distance from the Basilica and the Hungarian National Opera House. The main sights of Budapest are easy to reach by walking, or by public transportation. The Oktogon and Deak Ferenc square are also within 3-4 minutes walking distance. 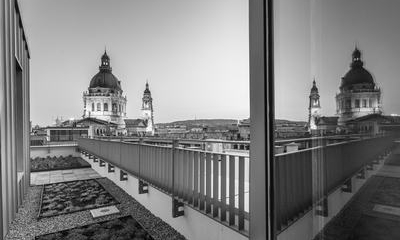 The Hotel has 53 rooms and 3 apartments with Basilica view on the top floor. In the modern-style rooms wi-fi internet connection is free of charge for our guests. Next to the 0/24 hours reception you can enjoy our bar all day long.